Editor’s note: This post is part of our ‘Lean Startup Speakers’ series. Next up is Dan Olsen, Lean Startup consultant and author of The Lean Product Playbook. He gave a talk on A Playbook for Achieving Product-Market Fit at the 2015 Lean Startup Conference. Learn more about him here. 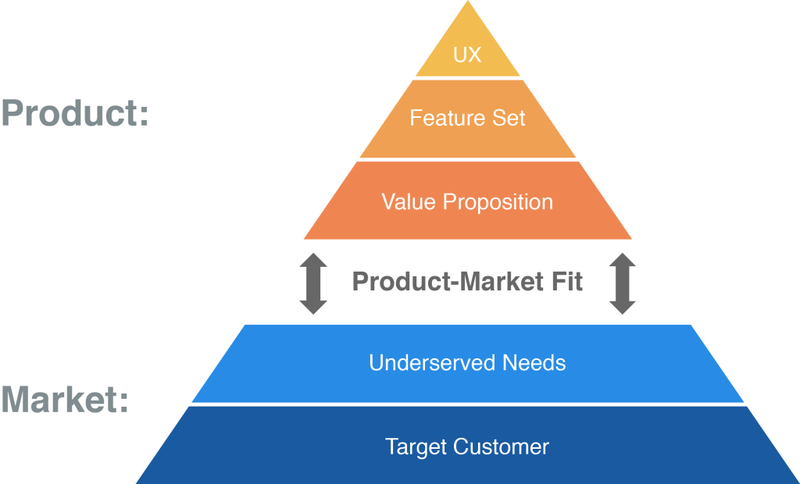 The Lean Product Process — also described in The Lean Product Playbook — is an iterative, easy-to-follow process based on the Product-Market Fit Pyramid. This process guides you sequentially through each layer of the pyramid from the bottom to the top. The process helps you articulate, test, and revise your key hypotheses so you can improve your product-market fit. Prototypes can vary in fidelity — the level of detail to which they resemble the final product — and interactivity — the degree to which the user can interact with the prototype compared to the final product. A hand sketch of your product (on paper or a whiteboard) would be low fidelity and low interactivity. For web and mobile products, medium-fidelity wireframes and high-fidelity mockups are frequently used. Once you have your MVP prototype ready, it’s time to test it with customers. It’s important in this step to ensure the people from whom you are soliciting feedback are in your target market. If you don’t, you risk receiving customer feedback that can send you iterating in the wrong direction. A screener — a short survey to ensure research participants have the attributes of your target customer — helps achieve this goal. You then schedule time to speak with each customer one-on-one. Originally published at leanstartup.co on November 16, 2015.